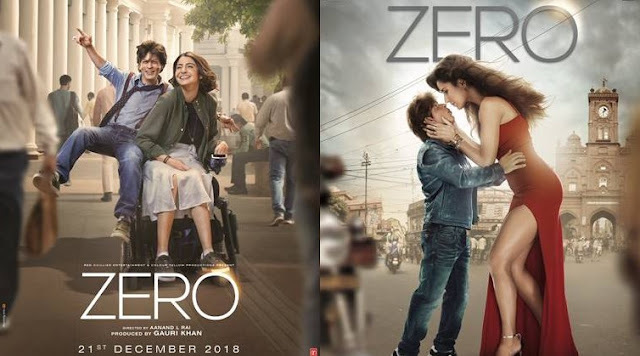 Zero Movie Bauua Singh (Shahrukh Khan) is a man residing in Meerut who is Vertically Challenged, but he is a very good person at heart. He is loved by a scientist named Aafia (Anushka Sharma). Aafia is suffering from cerebral palsy. This unique love story of both of them goes from India to America and space from there. In the journey of this love story, there are many problems in the life of Bauua and Aafia. For a great story it is necessary that it should be filmed equally, but every good story does not get the treatment, which he deserves. The story of 'Zero' is very interesting and its concept is as inspirational as it is. This story from Meerut to Mangal has been served with ideas like science, the journey between planets and incredible love, But in doing this, the film is laced in many places. In a hurry to show many expressions and thoughts together, 'Zero' don't do justice with any one role. Although some scenes are very strong, some screens disappear like they are a shooting star. The story begins in Meerut, where Baua Singh flies all the money of her father (Tigmanshu Dhulia) on the Bollywood superstar Babita Kumari (Katrina Kaif). She is battered on Babita. Seeing such actions of the son Bauua, his father is full of sadness and anger, but things change when the Bauua meets the highly qualified and capable scientist. Bauua is Vertically Challenged and Aafia is suffering from Cerebral Palsy and both of these drawbacks lay the foundation for their new relationship. However, there is a difference in the personality of both, and the difference becomes a strong column of the film's story. In the meantime, the Bollywood actress Babita Kumari would again get entry into the life of Bauua and Aafia, which triggered another drama. The best part is that these characters in the film have not allowed their physical challenges to dominate their temperament and temperament. Shah Rukh is the emperor of romance and he has played with his romantic character in the film. Shahrukh is in dwarf character. Katrina's role is very small, but she has also impressed. As far as Anushka Sharma's character is concerned, she had a lot of possibilities and she could be made more awesome. The practical illustration that Anushka used to play as a victim of Cerebral Palsy, did not seem special and beautiful emotional link between Anand L. Rai films is completely missing in this film. In the film, there are some comedy scenes between Shah Rukh Khan and Mohammed Zeeshan Ayyub and they are awake. Shahrukh has made the song "Mere Naam Tu" from the movie, colorful and entertaining with his dance. Altogether, this film will look good to you, but if you are planning to watch this film as pleasure, then there is no use because the element of entertainment is missing from the film's story.